Hello! 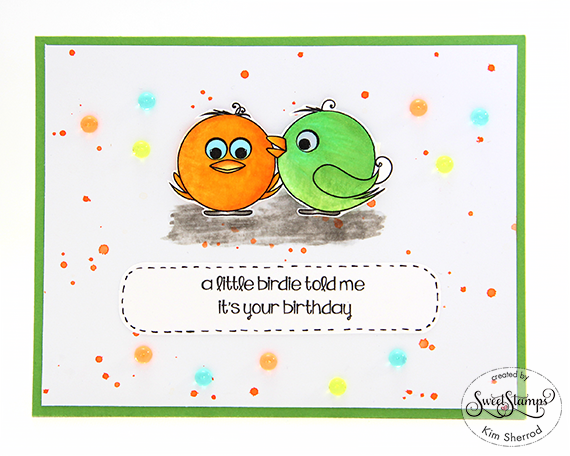 Today's card is for Sweet Stamp's Anything Goes month long challenge using Sweet Stamps newest release set called Happy Bird Day. I used a combination of Copic markers and Kuretake markers to create my card. I used the Kuretake Clean Clear Brush marker to create the splattered looking background on white cardstock. The stitching was hand drawn using a fine sharpie pen. 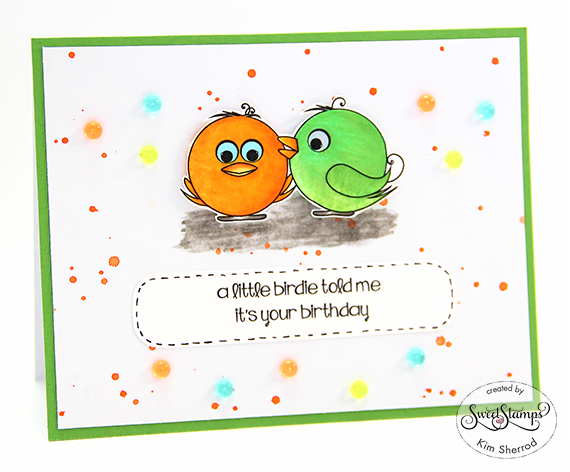 Please join the DT on the blog for more inspirations and enter to win a fun prize package from Sweet Stamps. 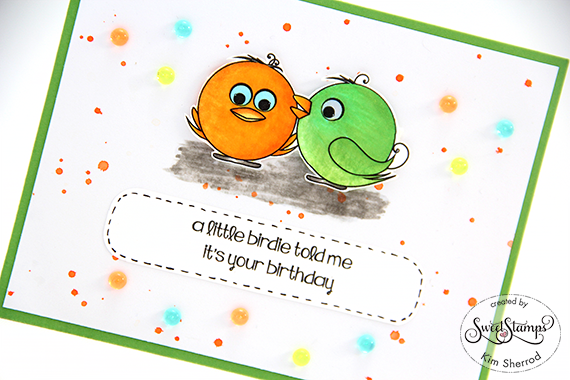 Really like the splattered look on your background Kim - and combined with the simple images of those birds it makes a great CAS card! Well done! Thank you so much for sharing your project and creativity at 613 Ave C! Aw, so cute. Great CAS card. Thanks for joining us at A Beautiful Mess for this challenge. Cute! Thank you for playing along with my "create your own background" Amusing Challenge this week. Super sweet card! Great design! Thank you for joining us at ATSM! Thank you so much for sharing your project and entering our Challenge at A Beautiful Mess.